Cassie Howard is a young single woman who has dedicated her life to helping children and families deal with abuse. With great compassion for each child she counsels, she gains strength to help them by leaning on her faith. When she meets four-year-old Annon, Cassie is determined to do all she can to help her, but it's Annon who may be helping her instead. A three-year-old named Justin has been kidnapped, and Annon could hold the key to finding him. With the clock ticking and a world of darkness unraveling around her, will Cassie be able to help Justin in time? Witness "A Fight for Innocence" like you've never seen before! "Many people have no idea of how evil has impacted the lives of innocent children and the results continuing on into their adult life. This book seeks to tell that story so that you will have a better understanding of what others have experienced and how it has affected them. You will find yourself feeling compassion for some characters and great disdain for others. 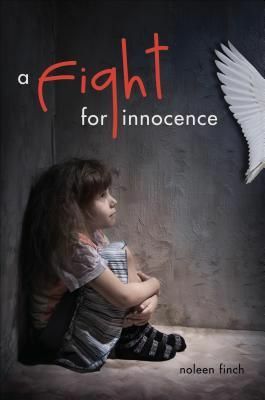 As a result of reading this book, you should discover an increasing ability to believe and comfort those whose lives have been affected by these horrible crimes." Dave Woodruff, Pastor, York Seventh-day Adventist Church.